The ice and condensation on the glass makes for a unique shadow. 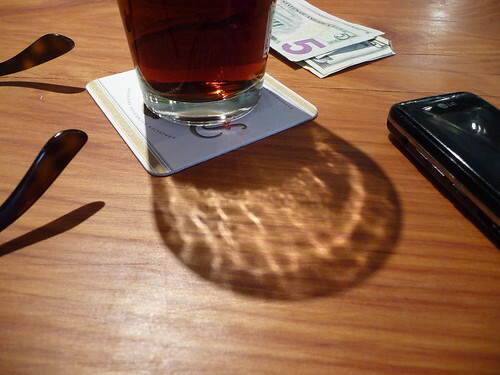 The shadow is as refreshing as the drink! What a terrific shadow shot! Love the detail and the crisp shadow! Enjoy the remainder of your weekend! great composition - only the money leaves no shadow!! That's cool! I'm thirsty now! Have a great week! I like! Interesting composition. It looks inviting! Ale? Whiskey?? CocaCola??? They all leave you with the same neat Shadow Shot! Happy SSS!